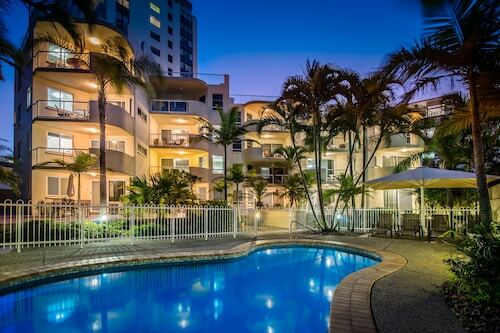 Our Maroochydore accommodation is perfect for a relaxing getaway or a family holiday, with hotels that include three-bedroom and four-bedroom apartments. Maroochydore, a local Aboriginal word for the native black swan, is about an hour's drive from Brisbane and boasts a tropical climate. 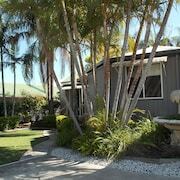 There is plenty to do while staying in our Maroochydore accommodation. Water activities on offer include, jet skiing, parasailing, deep-sea fishing & diving, sea kayaking and canoeing. Adventure activities on offer include, sky diving, abseiling, and horse riding. Join a day tour to the World Heritages Listed Fraser Island, or take you time and stay in our Fraser Island accommodation. Or take a scenic drive through the Hinterland and stop in some of the beautiful townships to grab a bite to eat or browse in craft stores and galleries. Visit local attraction, the Bellingham Maze, while staying in our Maroochydore accommodation, and get lost in this maze made up of 2m high cypress pine hedges. Or see works of art in a mountain-top cottage and Tiffany Jones Fine Art Gallery in Buderim. For the young and young at heart, visit Top Shots Fun Park and enjoy their video game arcade, mini golf course, Vertical Trampoline and indoor rock climbing wall. Get close to nature, while staying in our Maroochydore accommodation, with a visit to Buderim Forest Park, the Maroochy Wetlands Sanctuary at Bli Bli, or visit the beautiful rainforest in the hinterland areas of Kenilworth. Or relax on one of the beautiful beaches of the Maroochy area. There are plenty of shopping opportunities to enjoy, while staying in our Maroochydore accommodation. On Wednesdays and Saturdays browse the stalls offering organic produce, preserves, and locally grown flowers at the famous Eumundi Markets. Or visit the markets which occur often at many Maroochy Shire Coast beaches and Hinterland towns. Or shop at the major shopping centres, Sunshine Plaza and The Big Top Shopping Centre. Need insider tips on must-see attractions in Maroochydore? Check out our Maroochydore travel guide! How Much is a Hotel Room in Maroochydore? 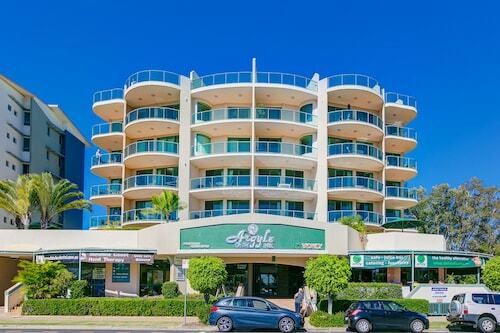 Hotels in Maroochydore start at AU$86 per night. Prices and availability subject to change. Additional terms may apply. Great location, lovely and clean. The manager was friendly and helpful, would definitely stay there again.